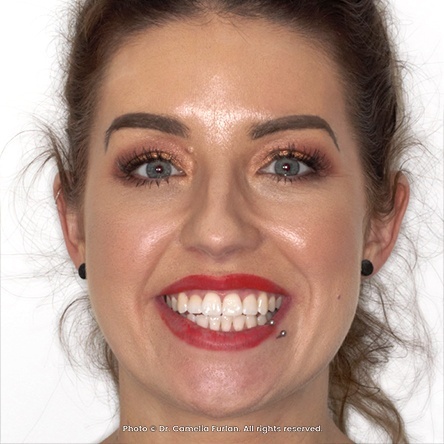 Meagan wanted to look great in the photos for her upcoming wedding in 6 months time and her main concern was the upper right tooth that was in crossbite. We have corrected the anterior tooth crossbite just in time for Meagan’s wedding using Invisalign clear braces. We also did Cosmetic Recontouring and Reshaping to straighten the uneven edges of her teeth and whitened her smile using Home Whitening. Check out Meagan’s transformation in our video gallery.